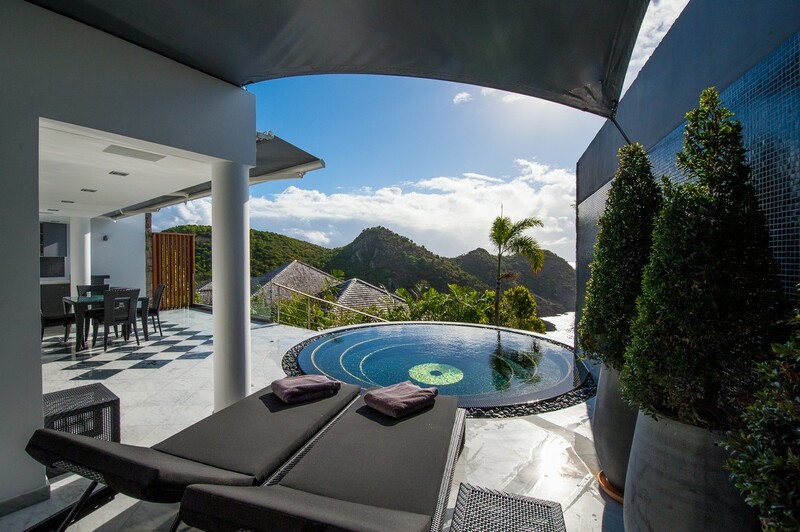 Villa Gouverneur Jewel St Barts. Are you planning a Caribbean honeymoon or romantic holiday? 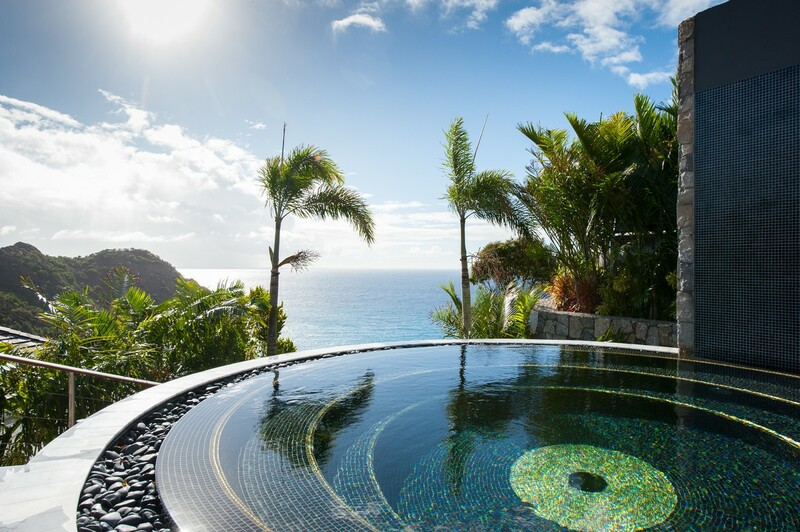 Are you considering a stay on the fabulous St. Barts? If so, the Villa Gouverneur Jewel may be the perfect destination. As its name implies, it is close to the renowned and simply gorgeous Gouverneur Beach, and is in fact just moments from it. 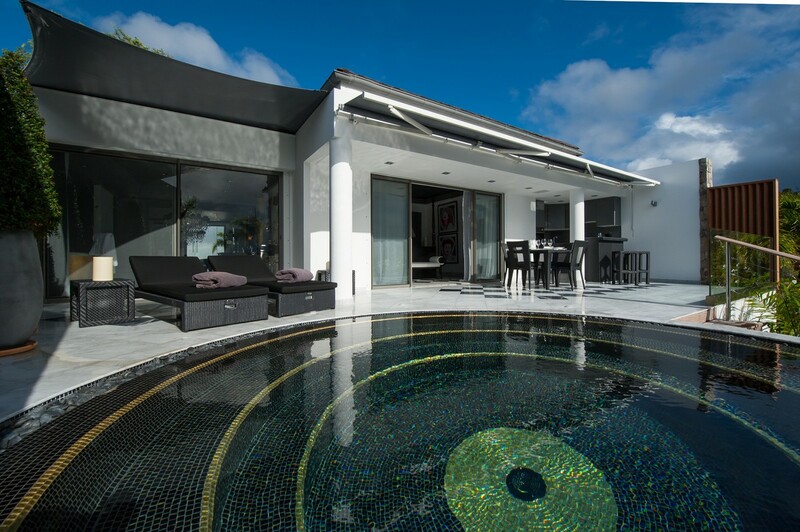 It offers amazing views of neighboring islands in the distance as well, but the stunning looks of this newly-built property might hold all of your attention. 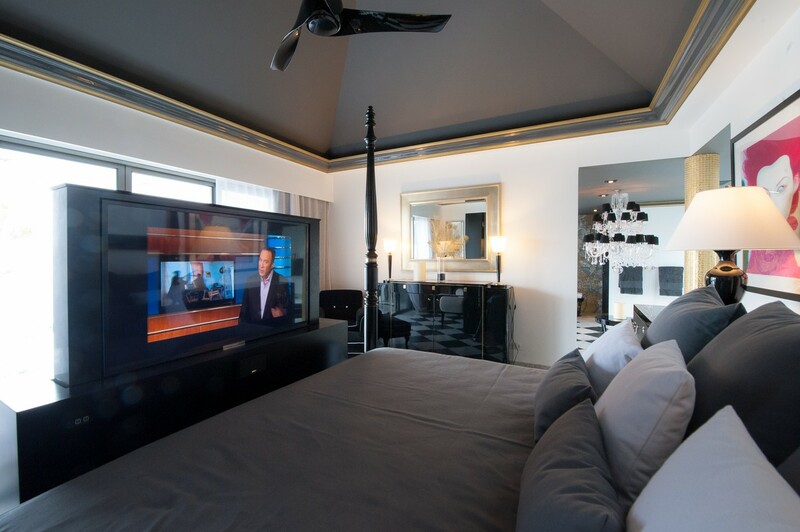 Though a one-bedroom villa, it features the kinds of luxuries typically reserved for larger properties. 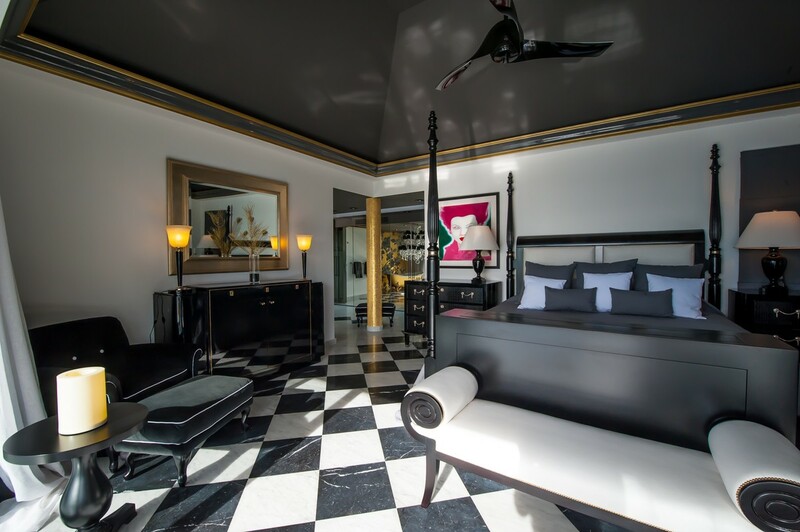 It is part of a much larger and opulent estate, and this explains the unprecedented level of style, luxury and space. 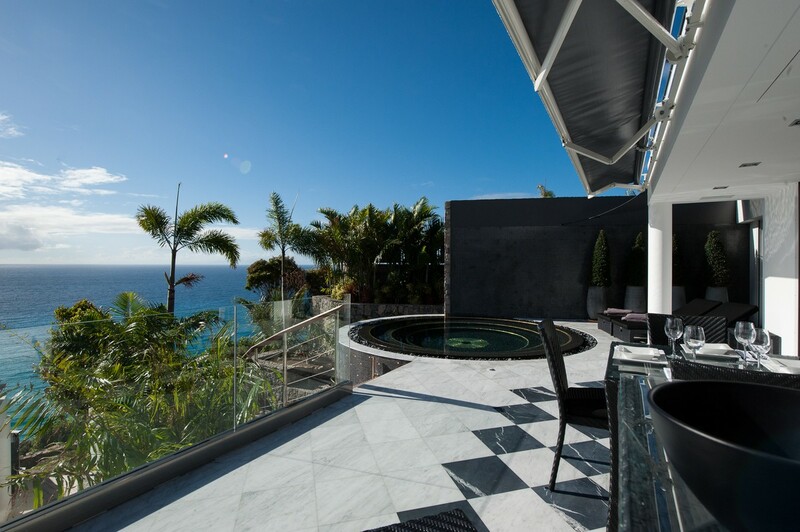 The focal point of this villa is the pool terrace. 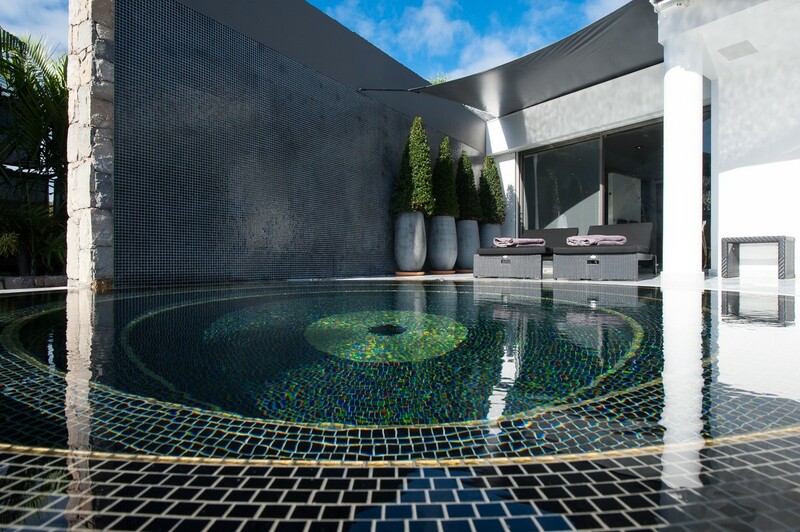 With a round plunge pool decorated in gorgeous slate and sand tile, it is a masterpiece. 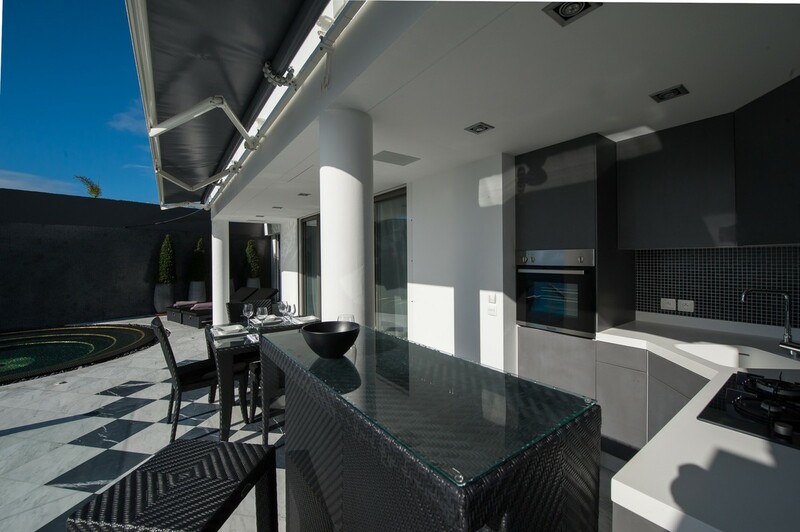 It is wrapped by the stone terrace, which also features a black and white checkered pattern in the al fresco dining spot. Nearby, oversized sun beds provide a wonderful place to watch sunsets, sunrises and starry nights. 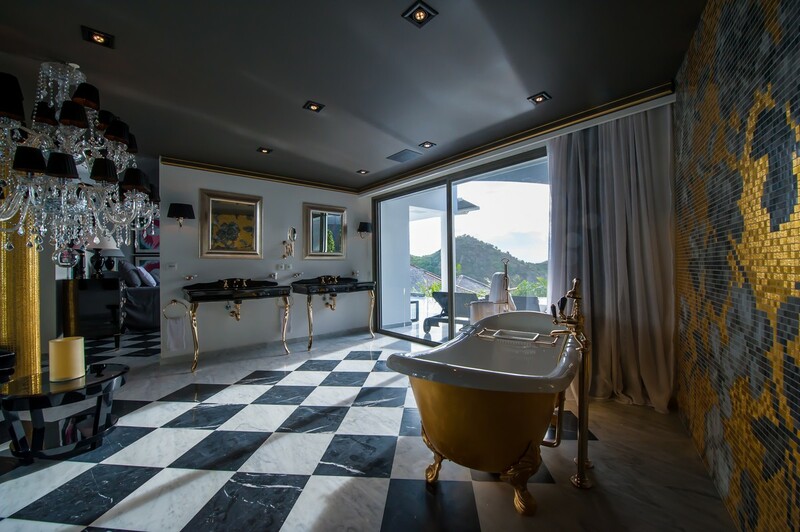 To maximize your experience of the views, this villa features an open-air kitchen that has a breakfast bar that is a part of the terrace as well. 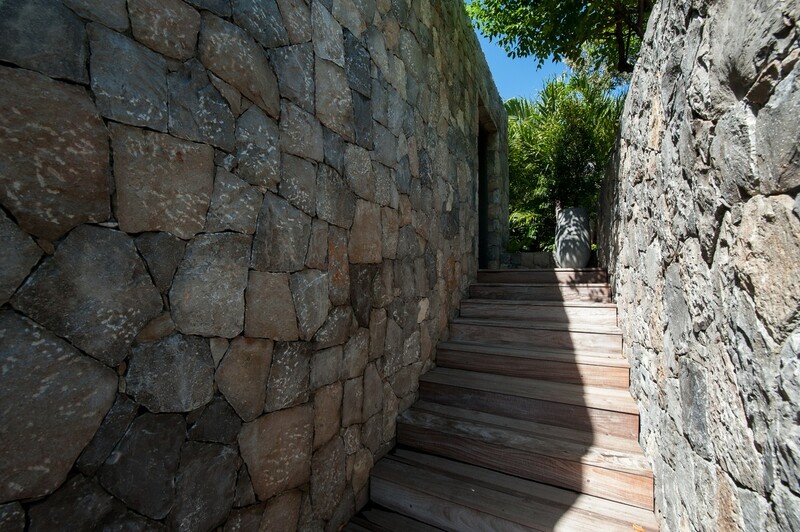 Prepare meals, drinks or snacks while basking in the sun, the sea breezes and the scenery. The kitchen features the very best appliances and gear, and will prove a delight to even the novice. 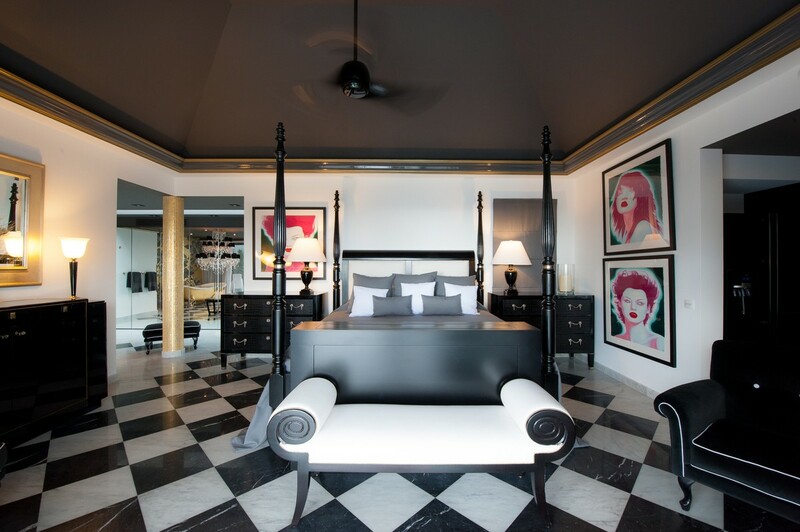 Inside, the villa features a truly luxurious bedroom suite with a four-poster, king bed, a high-end entertainment system and the same black and white stone flooring and palette as the exterior. 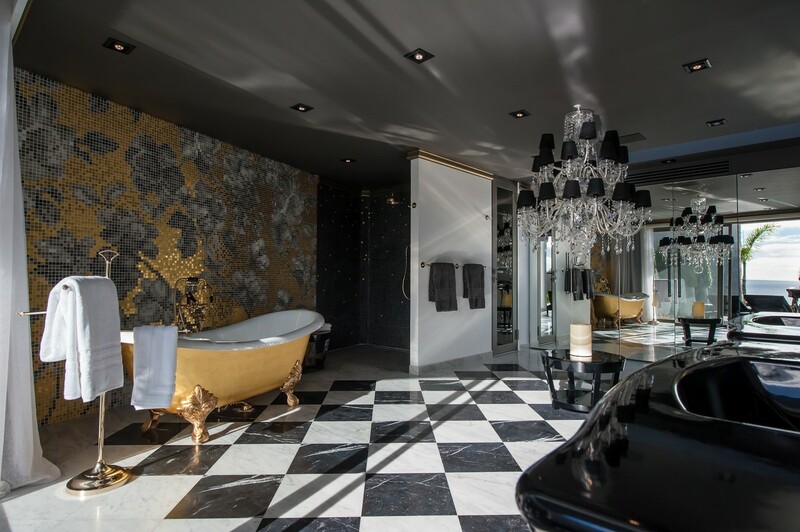 The oversized ensuite bath features mosaic walls, a footed tub, dual vanities and even a chandelier that gives just the right luxurious touch. 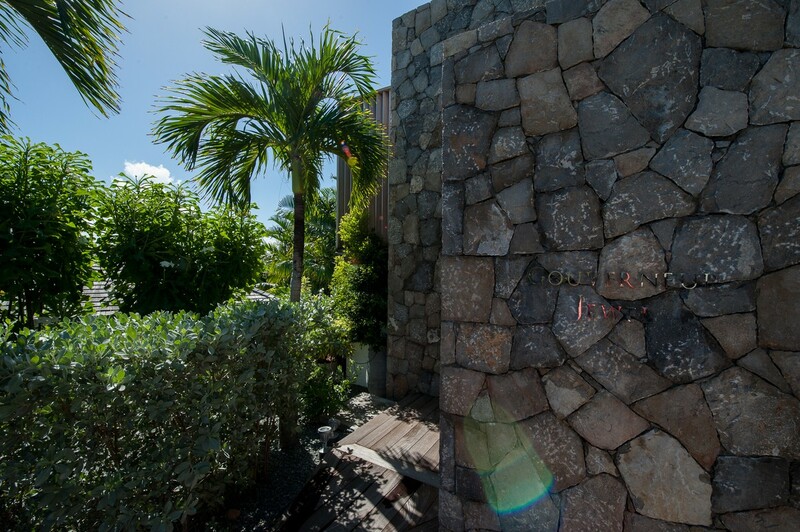 If you want unforgettable for your romantic retreat, the Villa Gouverneur Jewel will easily satisfy. Stay 7 nights between April 15, 2019 and December 15, 2019 and receive a complimentary Rental Car (category A) and daily continental breakfast.